Regardless of where you live, chances are you’ve suffered a shock upon opening your energy bill at some point. 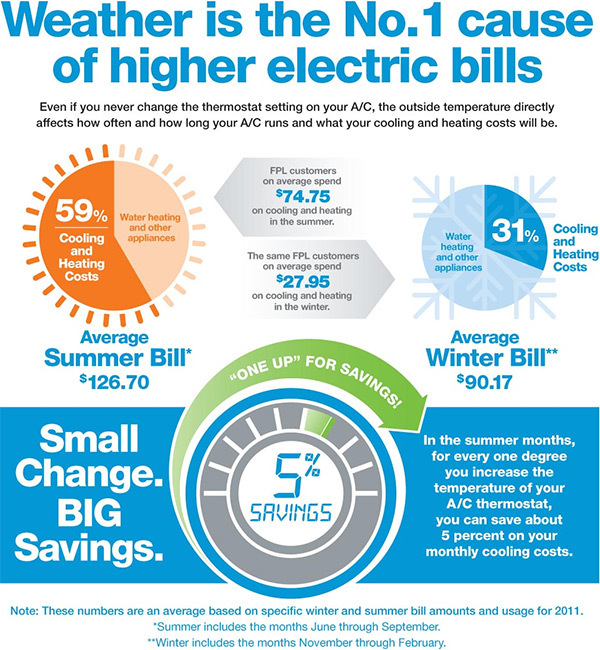 Heating costs climb during winter while keeping cool can cost you dearly in summer, with a large part of these expenses being the fault of your windows. For instance, in summertime, 40 to 45 percent of your utility bill can be caused by solar energy that’s filtering in your windows. These UV rays aren’t just harmful to your skin, but to the rest of your home as well, prematurely fading carpets, wood flooring, drapes and furniture. The addition of window film can offer a simple solution to you energy bill woes. At approximately $6 to $14 per square foot, it can provide a relatively inexpensive solution as well. There are two main types of window films on the market today: heat control and solar energy. Heat control films can block up to 55 percent of the sun’s heat from entering your home while solar films reflect up to 65 percent of solar energy. Titanium films are new to the market, blocking up to 72 percent of heat and can be found at big-brand home improvement stores. In the summer, solar heat can filter through your windows and build up inside your home, making your air conditioning unit work harder to maintain a cool temperature. In contrast, wintertime can be just as harsh, with a large portion of heat being lost by butting up against cold window glass. Both of these instances can raise you energy bills while lowering your comfort level indoors. Using window films will keep your warm air from being lost during winter and your home easier to keep cool in the summer. Have you ever experienced a distracting window glare while applying makeup in the mirror or watching your favorite TV show? Not only can window film reduce the glare reflected off your windows while you’re outdoors, they help to reduce the blinding light that can filter indoors as well. Make those nosy neighbors look somewhere else. With varieties ranging from frosted, tinted and even mirror finishes, window film can offer you a greater degree of privacy, reflecting the sun’s rays while keeping the outside world from peering in. Window film adds an extra layer of protection to the glass, preventing scratches and nicks over time as well as greatly reducing fading to your furniture and flooring. Also, if you live in a hurricane-prone area like the Gulf and Atlantic coasts, they can help lessen window breakage and the scattering of glass by bonding to the glass and making it more shatter-resistant. Many window films are even tough enough to help prevent larger storm debris from entering your home. Even without window film’s benefits to your wallet and home interior, they can do wonders for decorating your home, such frosted films pairing well with bathroom windows. As of 2011, folks were able to seek out federal tax credits – up to $500 – for using window films on their homes. However, the credit is only for the cost of the films, not labor or installation. For more information and other ways to make you home more cost-effective, visit EnergyStar.gov. This entry was posted in Do-It-Yourself Tips, General Home Improvement, Window Treatments by admin. Bookmark the permalink.